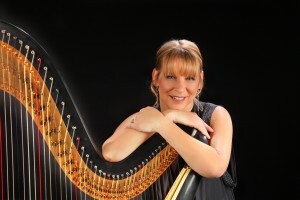 Beautiful Harp music for your wedding or other special occasion. Maxine is a Lancashire based harpist who plays throughout the whole Northwest including Cheshire, Cumbria, Lancashire, Manchester, Wirral & North Wales. I’ll also post a sample repertoire at the bottom of this page. Maxine can also perform with a flautist, together they make up the Melandra duo. They are also are available for weddings, recitals and other events and are particularly suited for larger affairs. Maxine was born in Manchester and raised in Glossop. She went to her first concert at the age of 3 and decided there and then that she wanted to play the harp. She also started to play the piano at the age of 4 and was given great encouragement by her parents who were both in the Halle Orchestra. Maxine went on to study at Chethams School of Music where she studied under the renowned harpist Elinor Bennet. Maxine was 10 when she won her 1st music festival and at the age of 15 performed her 1st concerto (Mozart Flute and Harp). At 16 she debuted in a concert at the former Freetrade Hall in Manchester. From 1989 Maxine has pursued a busy free-lance career with some of the UK’s leading Symphony and Ballet Orchestras including the Halle, National Symphony Orchestra, English National Ballet, City Ballet of London and Moscow City Ballet. She has also pursued a solo career performing Concertos and Recitals. Maxine has entertained Royalty, and worked with a range of celebrities as diverse as Tenor Russell Watson and Rap Star Kanye West. She has also played aboard cruise ships, at major sports events and for product launches and TV work. She appears regularly in leading hotels around the UK as well as playing for special occasions (Weddings, Birthdays etc) and corporate events. Here is a selection of Maxine’s repertoire. Maxine formed the Melandra Duo in 1986 whilst at Chethams School of Music. The name Melandra is taken from the Roman name for Glossop where Maxine was raised. 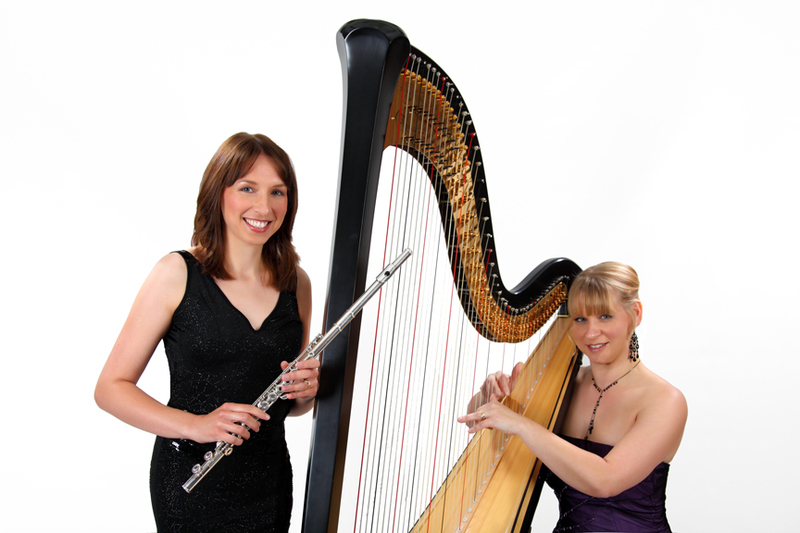 The other half of the Melandra Harp & Flute Duo is Flautist Lindsay Grainger. Lindsay studied at the Royal Scottish Academy of Music and Drama after which she returned to her local area of Cheshire . Lindsay plays with various orchestras, including the Liverpool Sinfonia and the Welsh Chamber Orchestra and also enjoys a variety of solo and chamber work, which has led to performances on BBC Radio 3 and Radio Scotland.